Since 2011, we’ve helped advance the quality of surgical care in BC through evidence-based, data-driven programs. We lead the Surgical Quality Action Network (SQAN), which uses innovative approaches to improve teamwork and communication among surgical teams, engage patients and track and evaluate patient outcomes through the National Surgical Quality Improvement Program. Almost 450 health care providers have joined SQAN, using it as a forum to share best practices, leverage data to inform improvement and connect to share and spread local innovation. Together they’ve saved more than 12,000 bed days over a five-year period, prevented infections and improved surgical teams’ teamwork and communication. SQAN coordinates and aligns these broad efforts within the Ministry of Health’s Surgical Services Strategy, the Surgical Action Plan and emerging initiatives such as the Measurement System for Physician Quality Improvement. Networking and connecting with colleagues from across the province. 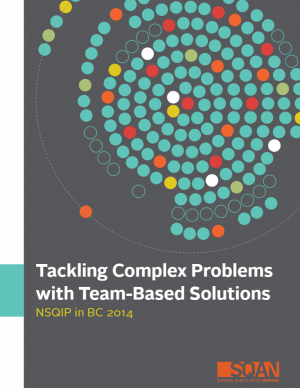 NSQIP is helping 24 hospitals in BC to monitor patient outcomes for 30 days after surgery. The Surgical Quality Action Network is helping surgical teams improve their teamwork and communication. This report reviews data collected by NSQIP sites between 2011-2015, in order to understand the impact on local improvement efforts, provincial surgical improvement initiatives, and surgical team environments. 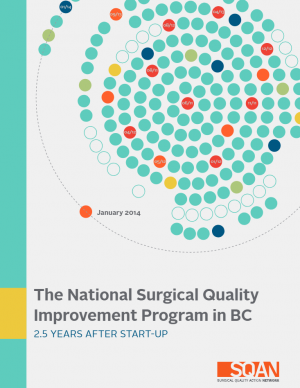 These data show that NSQIP improved care and outcomes for surgical patients across BC. In 2015, we launched an improvement collaborative to reduce infections occurring after surgery. 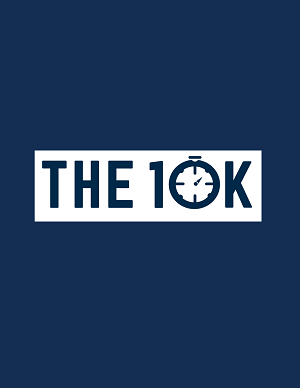 With 10,000 surgical patients in BC suffering from a surgical site infection (SSI) or urinary tract infection (UTI) each year, the “10K” focused on 10,000 Reasons to Race for Infection Prevention and aimed to reduce SSIs and UTIs at participating teams’ sites. NSQIP in British Columbia expanded dramatically since two hospitals started the program in 2006, growing to 24 participating hospitals in 2014. BC’s NSQIP sites responded to the challenge of reacting in a timely manner to their initial data and worked towards improving patient care across all areas of surgery. 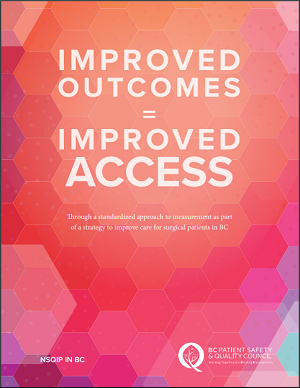 This report covers these past three and a half years, gains have been made in several areas that have improved patient outcomes, reduced complications and saved lives. NSQIP 2.5 Years After Start Up: Is It Worth It? In 2011, hospitals were offered the opportunity to join the most robust surgical outcome program in the world: NSQIP, which is coordinated by the American College of Surgeons. This report collates the findings from the July 2013 risk-adjusted reports and local stories across 23 participating sites in BC.